At my other blog, The Perpetual Page-Turner, I don't really use star ratings on my reviews anymore because it just got too complicated for me personally because I couldn't grapple with giving 4 stars to a book I REALLY enjoyed that was maybe more "fluff" than a 4 star book that was maybe more profound and made me think. ANYWHO. I do still give star ratings most of the time on Goodreads (come be friends with me if you feel like we have stuff in common!) so I figured I'd share my latest 5 star reads! Two Boys Kissing by David Levithan: This book is amazing and I dog-earred the HELL out of it. Great story, interesting storytelling and oh so emotional in so many ways. The writing is BEAUTIFUL. There are few writers who really dazzle me with the power of their words as much as David Levithan. He really knows how to write not only a beautiful sentence but pack so much meaning and emotion into it. Read my full review of Two Boys Kissing. This Song Will Save Your Life by Leila Sales: I really thought a "teenage DJ" premise was going to be super corny. I also thought this was going to be a more cute and fun book! Both of my initial impressions were WRONG. This story is amazing and Leila made a teenage DJ anything but corny. Lots of feelings when reading this one! Elise's story is amazing and so memorable for me! I can't say one bad thing about this book! 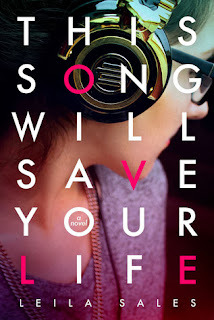 Read my full review of This Song Will Save Your Life. 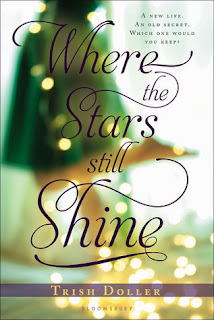 Where The Stars Still Shine by Trish Doller: I had high expectations for this one since I had LOVED Something Like Normal earlier this year and thankfully I was NOT disappointed. Trish Doller has definitely become a favorite contemporary YA author of mine and I just want the world to know about her and THIS BOOK! I really loved that a huge thread of this book is about family and Callie's dad is one of my all time favorite parents in YA. Her story is a tough one but this story is so hopeful and heartwarming. Read my full review of Where The Stars Still Shine. Have you read any of these books? How did they stack up for you? (I might be sad if you didn't love it but I'd love to hear either way!). What have been YOUR latest 5 star reads?? I totally agree with you about Two Boys Kissing. One of the best books I read this year! I also gave Two Boys Kissing five stars. Absolutely beautiful! I have Two Boys Kissing on my to-read list (after having enjoyed one of his other books) and I can't wait to read it. So glad to hear you give it a massive thumbs up! I haven't read Two Boys Kissing; however, I keep hearing good things about it. I am going to have to read it! I need to add all of these to my wishlist!